As emergency physicians, nurses, paramedics, police officers and other first responders know, there’s nothing worse than staring down at a critically ill patient who can’t answer of your questions. Who can’t tell you who they are, what medications they’re taking or one thing about their medical history. Or can they? What if your patient had something in their pocket that could tell you all the critical information you need to save their life? But how do you find all that information, especially if they password protect their phone? It’s a lot easier than you think! You’re looking for their Medical ID or their ICE/Emergency Contacts. Pick up your patient’s phone and look at the screen. 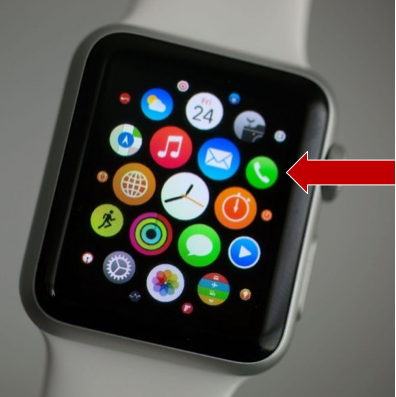 You might have to click the round home button or power button to wake it up. If the phone is off, just hold the power button for a few seconds to turn it on. Does the phone screen look like picture 1, 2 or 3 below? Most new iPhones have an emergency link called Medical ID, which displays the owner’s medical information and emergency contacts, even if the phone is password protected. Tap the word EMERGENCY on the lower left side of the screen. Then on the next screen, tap MEDICAL ID. This will open Medical ID. Not only will you be able to see any medical history or information that your patient has entered, but you’ll be able to see their ICE/Emergency Contacts at the bottom of the Medical ID screen. Didn’t find anything helpful? Let’s try and find your patient’s name and contact information. Look at the screen, hold down the home button and say the following words in this order. Siri should respond with your patient’s name and any basic contact information that he or she entered on the phone. If you weren’t able to find the information you need, here are a few ideas that might help. If you see a password screen but don’t see the word EMERGENCY, the iPhone is a little older than most. It won’t have Medical ID, but it might still have an ICE Contact. Just press and hold down the  Main Home Button — the big round button on the bottom of the phone — to access Siri. Then say the following words in this order. If the phone has an ICE contact, Siri should display it for you. If Siri doesn’t bring anything up, press and hold down the  Main Home Button, and say the following words in this order. Siri should respond with your patient’s name and any basic contact information the he or she entered on the phone. If the phone isn’t password protected, all you have to do is look for Medical ID or through the phone’s Contacts yourself. The quickest way to find it, is to ask Siri. 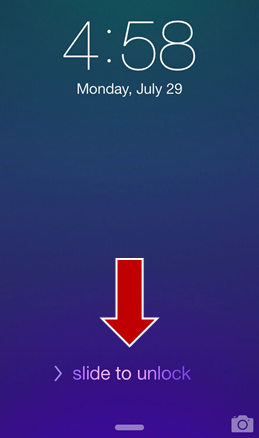 Swipe the arrow near the bottom of the screen from left to right, to open the home screen. “Hey Siri, open Medical ID”. If Siri responds, check the Medical ID for the information you need. If nothing happens, Siri probably isn’t switched on. But you can still find the Medical ID by finding and opening the Apple Health App. Locate and click on the App’s Icon. It’s the one with the Heart (SEE BELOW) and then click on Medical ID. Nothing helpful in the Medical ID? Time to look at the phone’s Contacts to see if you can find your patient’s ICE contacts or the name of their spouse, relatives or close friends. Tap the Phone icon and then tap on Contacts. The first contact on the list is usually the owner of the phone, so be sure to look there if you need to find your patient’s name or personal contact information. Then scroll the rest of the phone/contacts to try and locate your patient’s spouse, parents, relatives or close friends. Pick up the watch and look at the screen. If it’s password protected, press and hold the side button (the crown on the watch) drag the Medical ID slider to the right. Once you open the Medical ID scroll to the bottom (by turning the side button/crown) to read the information. Your patient’s emergency Contact should be listed towards the bottom of the Medical ID. To call a contact, touch the contact’s name from the list to call them. If their iPhone isn’t nearby, you’ll have to call the contact number from another phone. Nothing helpful in the Medical ID? Time to look at the phone’s Contacts to see if you can find your patient’s ICE Contacts or the name of their spouse, relatives or close friends. On the Home screen find and tap the Phone app. Now tap Contacts. To look through the contacts, turning the side button/crown to scroll them. Remember these instructions the next time you encounter an unconscious patient with an iPhone. While you’re here, take a moment to check out How To Put An ICE Contact On Your iPhone, or How To Put And ICE Contact On Your Samsung Galaxy to learn how to set up a fully loaded, life saving ICE Contact on your own phone in two minutes or less. Want to download the iPhone ICE Contact instructions later? Just click here and save them to your computer. And don’t forget to put ICE Contacts on your spouse’s and kid’s phones too, along with each other’s contact information, so you can get in touch with each other quickly and easily. 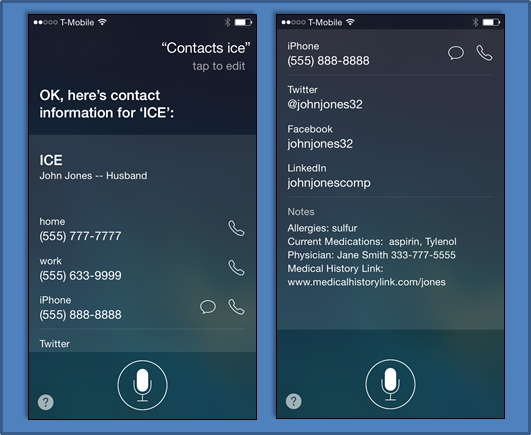 How To Find Your Patient’s Medical Information & ICE Contacts On An iPhone. Did you know your smartphone can save your life? It can also save your spouse’s life, your kid’s lives and the lives of everyone you love! The secret is letting your phone do the talking for you in an emergency. By taking a couple of minutes to ICE it, with your in case of emergency contact. And it’s even better when you add an emergency wallet card, medical information forms and a plan for tracking down & gathering every member of even the busiest of families, in five minutes flat. All of which you’ll find in the ICE My Phone Kit. But we’re getting ahead of ourselves… First things first. So, what is an ICE Contact? During the London Bombings and Hurricane Katrina, so many people were injured and separated from their families that a London paramedic named Bob Brotchie came up with the idea of telling people to put an iCE – In Case of Emergency – contact on their cell phones. Now, hospitals worldwide, check patient’s phones for their iCE contact, to locate their next of kin. Why is it important to have one? The most important reason every member of your family should have an ICE Contact on his or her phone, is because you can’t be everywhere, all the time. There’s always one person in every family who keeps everyone else going. The person who can recite every illness and prescription drug his or her kids, spouse and dogs have ever had. Since you’re the one who’s reading this article, I’m going to take a wild guess — it’s probably you. But when your family is at work, or school or at different activities all over town there’s NO way that you can be with them every second of every day. But you CAN tuck all of that information into an ICE Contact on their cell phone, so a doctor or an emergency room can use it to take care of them, until you get there. Every year more than one million people enter the ER unconscious or unable to give the hospital their vital information. On average it takes hospitals over 6 hours to find a patient’s vital information, and that’s if they have the patient’s name. But when you have an ICE Contact on your cell phone and an emergency card in your wallet, you’re not only giving them all the info they need to contact the people you love, you’re also giving them all the information they need to treat you with your specific medical needs in mind. So What Is The ICE My Phone Kit? Learn how to create a Family Emergency Plan and how to track down & gather every member of even the busiest of families, in five minutes flat. It also contains free downloadable medical information forms, family gathering/evacuation plan and emergency wallet cards you can use for each member of the family. And most importantly, you’ll learn how to turn your phone into a mobile command center – or if you’d rather, your very own Bat Phone. The Backup Plan ICE My Phone Kit, now in paperback. Only $14.99 at Amazon.com Downloadable PDF Edition $5.00 Buy Now Grab your copies today. We also offer bulk discounts and customization for organizations, companies and schools. For large orders or customization click here to contact our sales team. Connected | The Book Inspired By The Blog. You know you need one. You know you want one. But what in the world are you supposed to do if you want to carry an Emergency Wallet Card but don’t carry a wallet? Or if you don’t carry one when you’re out jogging, running to the store or doing errands while at the office. Or with all the disasters that have been happening lately – like Hurricane Maria, Irma or California’s Thomas and Ranch wildfires – to have it with you just in case. Here are 20 OTHER places to put your Emergency Wallet Card. Slip it into the opposite side of your work ID. That way you’ll even have it when you’re running across the street from your office to grab a coffee or a juice. A wristlet, like the Sprigs Wrist Wallets . It fits securely around your wrist and features a zipper pocket inside big enough to hold a few dollars, a credit card, gym or Starbucks card and, you guessed it, your emergency card. Your book bag. Stash it in the inside zipper pocket. If it has a little window pocket for your ID or your kid’s ID, even better. Medic Alert Jewelry There’s a reason millions of kids had to wear it. It works! Take the information on your emergency wallet card and create ICE Contacts on your smartphone. Whether you have an iPhone, Samsung Galaxy, Window’s Phone or just a plain cell phone, you’ll find easy instructions on ICEing any phone right here on the blog. On your Smart Watch — if you can put contacts on it then you can put an ICE Contact on too! BONUS For your little children, toddlers and infants — on an ICE belt in the car . An ICE Belt holds little children’s emergency information so that emergency personnel can treat the child with her needs in mind even if the mom is unconscious after a car accident. There you have it. 21 alternate locations for your emergency wallet card. No more excuses! And if you don’t have an emergency wallet card, you can borrow one of ours. Here’s another tip. If you want to make sure that your wallet card doesn’t get smeared or so dog-earred that it’s unreadable, laminate it before you put it in one of the places we mentioned above. And while you’re here, be sure to check out our other posts like How To Put An ICE Contact On Your iPhone, or How To ICE Your Samsung Galaxy to learn everything you need to know about ICEing your phone. And while you’re feeling proactive, don’t forget to put ICE Contacts on your spouse’s and kid’s phones too, along with each other’s contact information. Okay, phone numbers and an email address maybe, but why should I put my emergency contact’s Facebook or Twitter link in my ICE Contact? In the middle of a busy, but quiet day in a Midwestern university lecture hall, the silence was pierced by a sudden hail of gunfire. Students ran out of the hall and ducked under tables. Those who couldn’t move tried to make themselves as invisible as possible until help arrived. That day at Northern Illinois University, five students lost their lives. Many others were injured. As the police and security were struggling to control the situation, a number of the student’s parents not only knew that their children were all right, but they knew exactly what was happening in real time. So how did some people have a window into the NIU tragedy while others did not? Facebook and Twitter! As unlikely as it sounds, students ingeniously found a way to use their favorite method of keeping in touch with friends, as a tool to connect to the outside world in the middle of a crisis. Students caught under desks and tables grabbed their smartphones and started communicating. Tweets went out on Twitter, notes and messages went up on Facebook pages, telling friends and family that students, who were literally in the thick of things, were all right. Others told loved ones or security officers the location of trapped students, facilitating their rescue. Friends started texting each other to find out where everyone was and, in the hours that followed, created Facebook pages memorializing the fallen. It was an amazing display of people, who are connected 24/7, using that same technology to communicate, connect, survive and heal. That story has played out again and again during Oklahoma tornadoes, Superstorm Sandy and even the Japan earthquake. In fact during the Japan earthquake, cell phone towers barely worked because of earthquake damage and overloaded networks. But Wi-Fi? Wi-Fi was up and running. So the things that the Japanese connected with their families and the outside world, were Twitter, Facebook, Skype and YouTube! Smartphones, tablets and notebook computers are a phenomenal way to stay in touch during an emergency. Whether you send an email, text, tweet or Facebook message, you can find out the location and condition of everyone you love in seconds. And the best way to do that, is to include the links (or screen names) of your family’s social media accounts, right inside your ICE Contact. Not only will this ensure that you remember the strange assortment of letters in Uncle Fred’s screen name, but it will also give emergency personnel another way to reach your family members, if you need help. In a dire emergency, you can even send help, confirm or update emergency plans and even mobilize family and friends using social media, because with it, you’ll always have real time information. The one thing about emergencies, is that they’re completely unpredictable. The best way to prepare for them, is to give yourselves as many different avenues of communication as possible. You never know which one will make the difference. Want to learn how to put an ICE Contact on your phone the RIGHT way? Then check out our other posts How To Put An ICE Contact On Your iPhone, or How To ICE Your Samsung Galaxy to learn everything you need to know about ICEing your phone. And while you’re feeling proactive, don’t forget to put ICE Contacts on your spouse’s and kid’s phones too, along with each other’s contact information. Did you know that your iPhone can save your life? And it’s not just iPhone but any kind of smartphone, like the Samsung Galaxy, LG or even the Windows Phone. The secret is letting your phone do the talking for you in an emergency. And the way to do that is with ICE. If you usually password protect your phone, emergency room personnel might not be able to see your ICE information. Which means that having an ICE contact on a password protected phone is useless, right? So how do you make your locked iPhone emergency room friendly? That depends on your iPhone’s operating system. 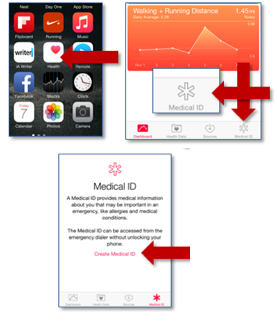 For the newest iPhones, all you have to do is set up your Medical ID along with your ICE Contact. 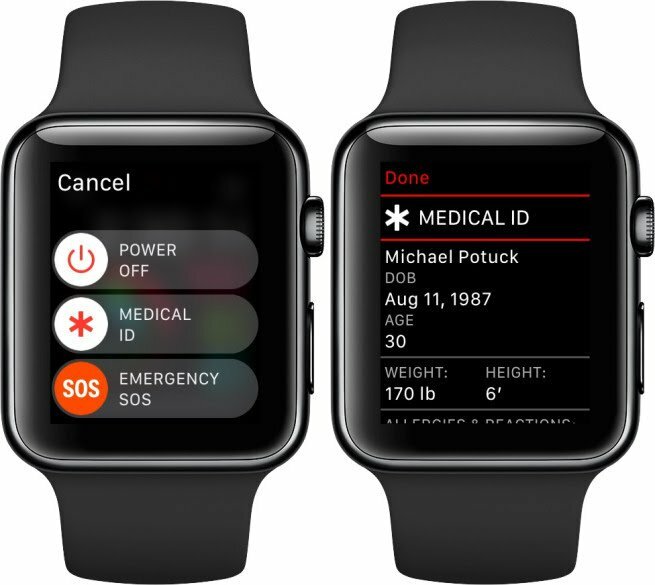 Medical ID, a part of the Apple Health App, not only gives you a place to put your emergency medical information, but it puts a link to that information right on the front of your phone, where it can be viewed by a hospital even if your phone is password locked. You can find instructions on setting up your ICE contacts and Medical ID up the right way here on our blog. The Health App is easy to find. It’s the one with the heart on it. Clicking on it takes you to the Dashboard page of the Health App. On the bottom right of the screen, you’ll see the Medical ID icon. Click on it. On the Medical ID screen, click on the red link that says Create Medical ID. The most important part of the Medical ID screen is at the top. It’s the On/Off Switch that shows a link to your emergency information on the home screen of your phone even when it’s password-locked. Before you do anything else, switch this to the ON position. It will turn green like the graphic below. Now, even if your phone is password locked all an emergency room has to do is click on the Emergency link on your screen, to grab your medical and ICE Contact information. Now that it’s visible, make sure your ICE Contact and Medical ID have all of the information they need to keep you and everyone you love, safe and sound. You’ll find everything you need to do it right here on our blog. If you regularly leave your phone unlocked, it’s even easier. All an emergency room has to do is click on your Apple Health App or they can do it the fun way, by asking Siri for it. “Hey Siri, find ICE Contact”. Siri will bring up any ICE Contacts that you have. The only way this will work is if the word ICE is in the Name field and the name in the Company field. Otherwise your phone won’t sort the contact correctly. If you still have an older (pre iOS 8 or pre iPhone 6) iPhone AND password lock your phone, set up your ICE Contact exactly the same way as above. And there you have it. Complete access to all your emergency information even on a password locked iPhone! Remember, if someone is looking for your ICE Contact, you may be unconscious and unable to communicate medical information for yourself. In fact, if you do tend to password lock your phone, you should definitely put vital medical information like allergies or chronic illnesses into the Notes Section of your contact as well, just in case the ICE contact is the only contact on your phone that medical personnel can access. Remember these instructions the next time you encounter an unconscious patient with a locked iPhone. You never know. That one little question might just uncover all of the information you need to save a life! While you’re here, be sure to check out our other posts like How To Put An ICE Contact On Your iPhone, or How To ICE Your Samsung Galaxy to learn everything you need to know about ICEing your phone. And while you’re feeling proactive, don’t forget to put ICE Contacts on your spouse’s and kid’s phones too, along with each other’s contact information. And not only that. If you set it up the right way, it can also let doctors know your kid’s medical history, help you keep your important documents, photos and emergency plans at your fingertips and track down & gather every member of the busiest of families, in five minutes flat. All of which you’ll learn in the ICE My Phone Kit. But we’re getting ahead of ourselves… First things first. Turning your smartphone into your very own Bat Phone begins with one thing. ICE — your in case of emergency contact. And most importantly, you’ll learn how to turn your phone into a mobile command center – uh, I mean Bat Phone. Raise Money & Save Lives! Free Customized Editions of our books make a great fundraiser for your organization, company, or an extra stream of income for you. 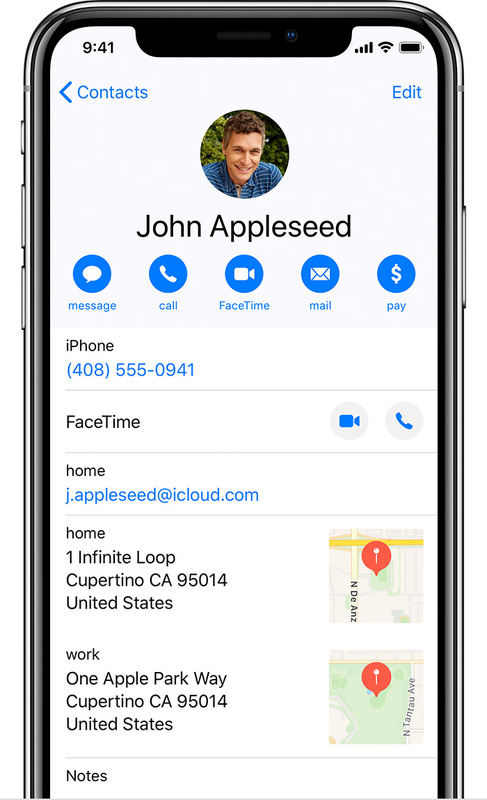 There’s one question about ICE Contacts that we get from iPhone users all the time that’s so important, we decided to take care of it in its own blog post. Should I even bother putting an ICE Contact on my iPhone if I use a password to lock my phone? After all, ICE contacts are great – as long as emergency personnel can actually SEE your ICE information. 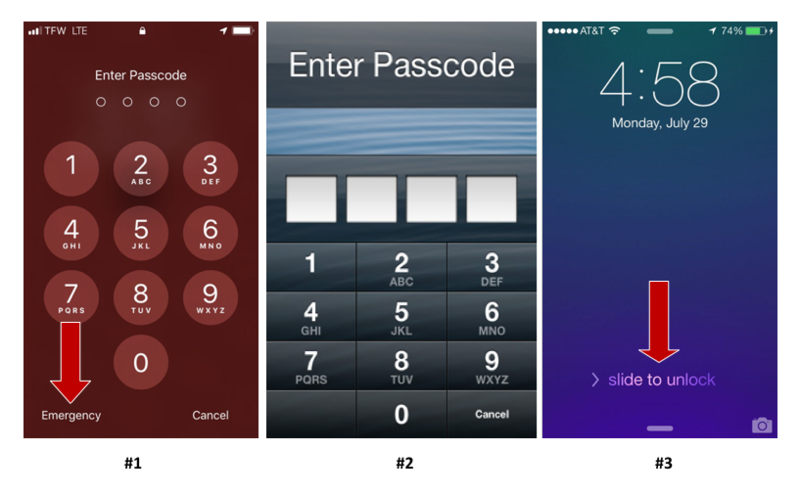 But what if you lock your iPhone with a password? Believe it or not, in many cities emergency workers aren’t allowed to break into a password protected mobile phone, even in an emergency. Which means that having an ICE contact on a password protected phone is useless, right? All you have to do is make your locked iPhone emergency room friendly. The way to do it, depends on your iPhone’s operating system. 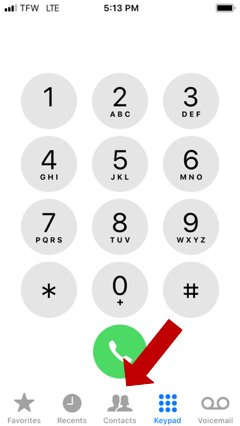 While you’re here, take a moment to check out How To Put An ICE Contact On Your iPhone, to learn how to set up a fully loaded, life saving ICE Contact in two minutes or less. Need directions for Samsung Galaxies? Got you covered! How To ICE Your Samsung Galaxy. And while you’re feeling proactive, don’t forget to put ICE Contacts on your spouse’s and kid’s phones too, along with each other’s contact information.